Wales have won the 2018 Home Nations Championships, taking the title for the first time since 2015. The tournament is an annual junior fixture between Scotland, Ireland, England and Wales and was hosted in Belfast this year. 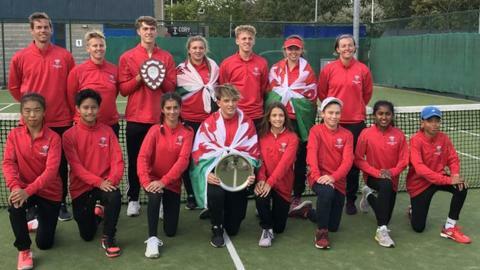 Wales won the under-18 age group, helped by Morgan Cross and James Story who played Junior Wimbledon this year. That, combined with runners up spots at under-14 and under-12, gave Wales the overall title. Wales manager Chris Lewis said: "Team Wales went to Belfast highly motivated and well prepared with a number of players in the team who have represented Great Britain this year, or who have won international and national titles. "The players competed with passion and with a lot of quality and thoroughly deserved their victory."